Have Fans Gone Too Far? 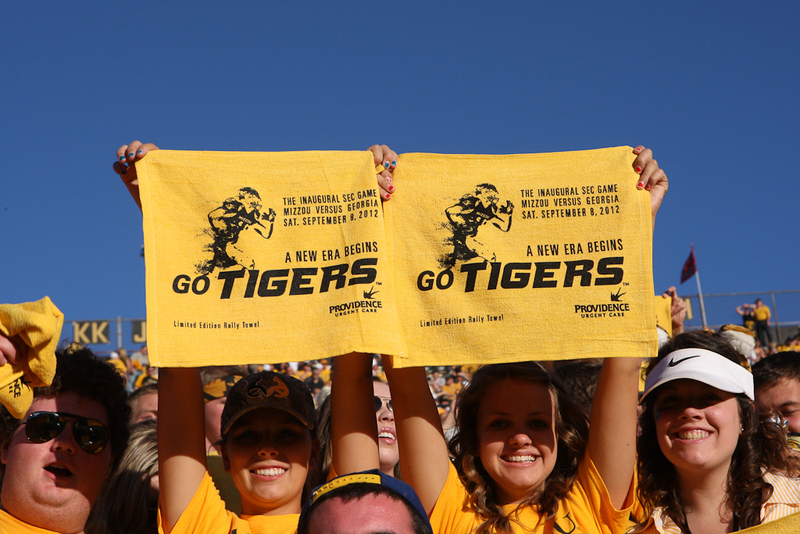 As the 2012 college football season has progressed, a topic that is consistently brought up is fan behavior. In the Southeastern Conference fans are known for being loud, outspoken and almost disorderly. Although this is accepted practice by most SEC fans, has the line between too nice and too far been blurred? Last Saturday, the University of Georgia football team traveled to Columbia, S.C. for arguably one of the biggest games of the year. As both UGA and USC were ranked in the top 10 of the AP Top 25 Poll, fans, journalists, coaches and players all anticipated a close game filled with exciting moments. Unfortunately for UGA fans, USC quickly took charge of the game and pulled out a 35-7 victory over the bulldogs. The battle on the gridiron was hard to watch for many, but even more disturbing was the way fans of both teams conducted themselves. The South Carolina fans were excited and made their presence in the stadium known from the beginning of the game. Waving rally towels and chanting at the top of their lungs, USC fans drowned out the UGA fans and solidified the Gamecocks’ home field advantage. While this behavior was ideal for Steve Spurrier and his team, a closer look into the stands shows a frightening reality. Many female UGA students reported being harassed by drunken USC fans both during and after the game. One student reported being threatened by a male USC fan and had to be escorted out of the stadium in the second quarter. The University of South Carolina outlines a code of conduct for their fans that explicitly states that Gamecock fans should not become belligerent or inebriated and should act like a role model by treating others with respect. While some may say that the behavior mentioned above is part of attending a game, the code of conduct would suggest that fans are going too far. Although USC fans behaved poorly, they were not the only ones at fault. Gamecock fans took to the message boards after the game was over and posted their sorted experiences with UGA fans in Columbia. USC fans reported their fair share of experiences with drunk and disorderly UGA fans, including incidents of Dawg fans throwing trash toward the field to express their frustration with the game’s outcome. The bad behavior of UGA fans did not end in Columbia. Georgia linebacker Christian Robinson posted on Twitter that he and his roommates (Aaron Murray, Arthur Lynch and Ty Frix) returned to Athens and found their home had been egged and rolled with toilet paper. After being asked about the event, Head Coach Mark Richt said that this type of behavior was not shocking after a tough loss. If an act of vandalism toward a player’s home is almost expected from fans, it is hard to imagine that any negative action could be considered unacceptable. The over-the-top behavior that is accepted and expected from fans is also evident in the reaction to a fan base that is too nice. When Georgia played Missouri earlier in the season, UGA fans reported that the atmosphere was too friendly and not up to the SEC standards of a pregame party. The fact that Mizzou fans did not show their blatant hatred for Georgia annoyed and confused Dawg fans that attended the game. The fans are a large part of any college football program. However, universities may need to take a hard look at the public face that their fans are putting forward. When it is more acceptable for fans to vandalize and slander both their team and their opponent than welcome each other with open arms, those in charge of the team’s image may need to reevaluate what the athletic program stands for at a major university.